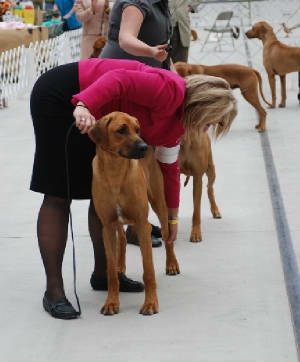 The Arizona Rhodesian Ridgeback Club is an accredited AKC club, and is associated with the Rhodesian Ridgeback Club of The United States (RRCUS). 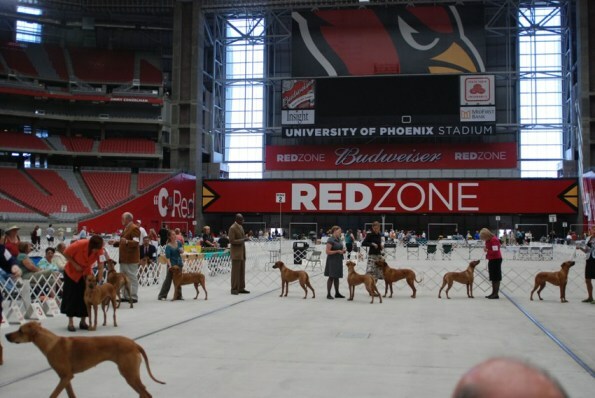 The Arizona Rhodesian Ridgeback Club was founded as a regional breed club with activities and meetings to bring Arizona Ridgeback enthusiasts together. ARRC has general meetings to discuss club business 6 times per year, and holds AKC Independent Specialty dog shows for Rhodesian Ridgebacks once or twice a year. We also offer social and educational events throughout the year. We welcome you to attend any of our ARRC events to meet club members and their ridgebacks! The Arizona Rhodesian Ridgeback Club has members located all over the state and as a result the membership has voted to have our meetings associated with conformation events so that most members can attend. This works well for us and we hope you can join us. Please feel free to contact us for more information. At RRCUS Nationals following days activities. And Puppy and Veteran Sweepstakes! Held At The Phoenix Coliseum. 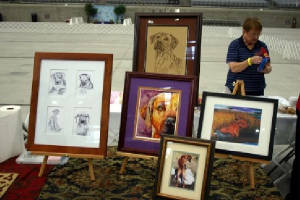 exhibitors, breeders, and of course ridgebacks and their owners. It's Easier than ever to show your support! Arizona Rhodesian Ridgeback Club is non-profit and depends on donations to fund our events. We have joined with Paypal to offer you an easy way to help us. To be a trophy sponsor for our next show please click the link below and indicate the placement you want to support! There are two anual specialties on February 5th, 2015. The Trophies are Custom Tack Bags by Nana B's Boutique with rhinestone trim.